Yesterday afternoon i noticed i had a message to retrieve on my smart phone. Opening the message i found a lovely invitation to set up at an art studio this friday. 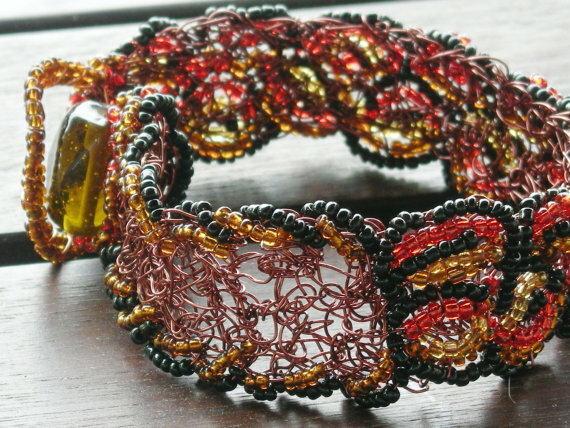 They saw my photos of wire crochet, and wanted my jewelry…wow. But the location sounded odd… nothing sounded like it was in my area. I shot a message back asking where this was…. “Hollywood, Calif.” – Wouldn;t that be a hoot.. to fly out to cali just to see if my wire crochet sells… For a moment there i was visioning that airplane trip, and the fun of a new venue, fresh, unique, adventurous. I was so honored to have thought about this opportunity. But I had to write back and remind her I am in Northeastern Ohio. 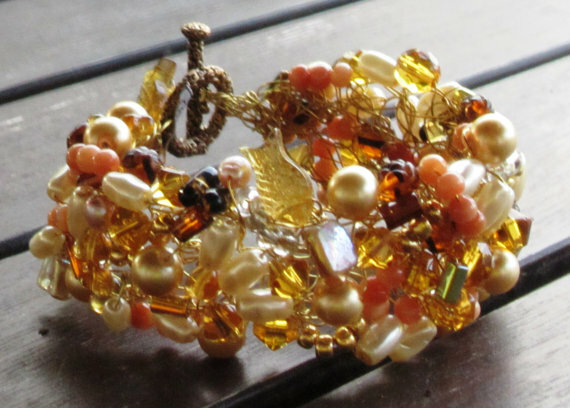 So perhaps one day I will find my wings, and fly to cali, where my wire crochet jewelry will sell out in record time. Until then look for us this weekend at Tremont Art and Culture Festival… located on Cleveland’s South Side neighborhood of Tremont, W14 at Starkweather… The festival starts at 11a on saturday and runs until 6p, and reopens at Noon on Sunday and runs until 5p. We are doing the “please don;t rain” dance with hopes this will be a wonderful and cooler fall-esque weather weekend. Hope to see you there.